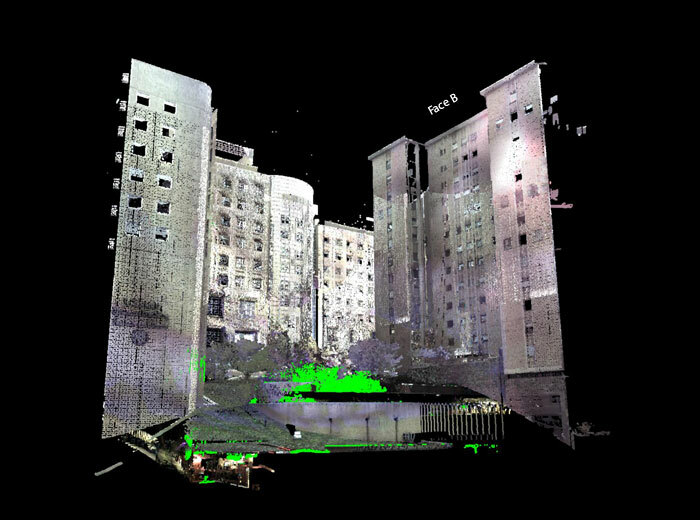 Badey & Watson made laser scans of portions of the NewYork-Presbyterian Hospital site and produced drawings and other information that would otherwise have been very difficult to obtain. 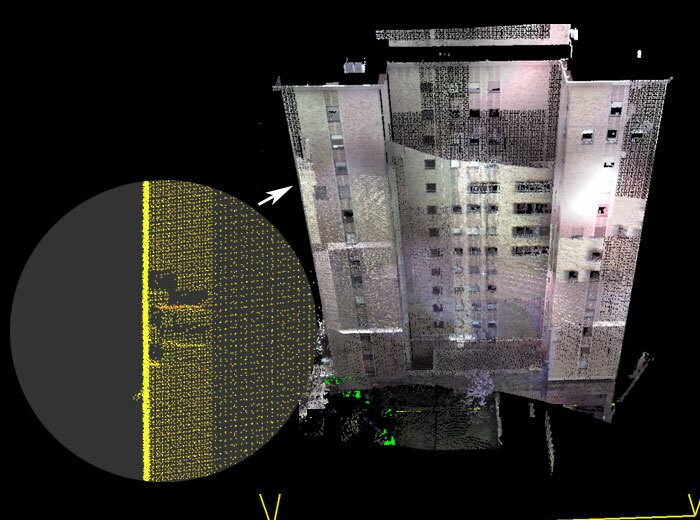 This scan shows missing bricks high on Face B of the building. They are shown below in Map 4. 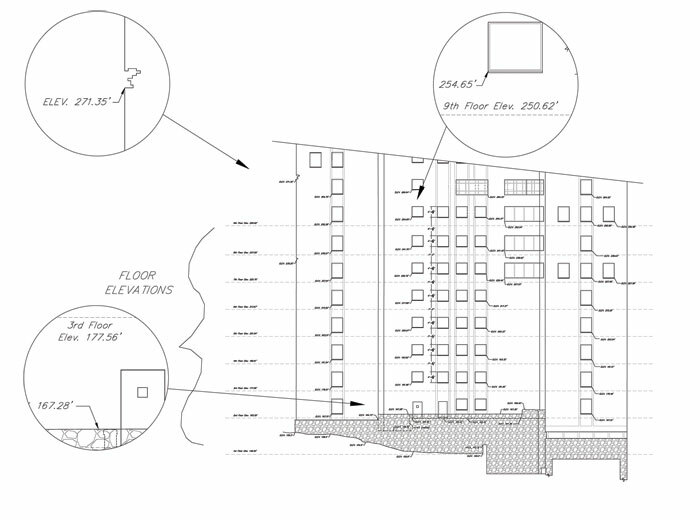 Here, a corner section of windows is shown with floor elevation (red line). The red line goes around the perimeter of the building. 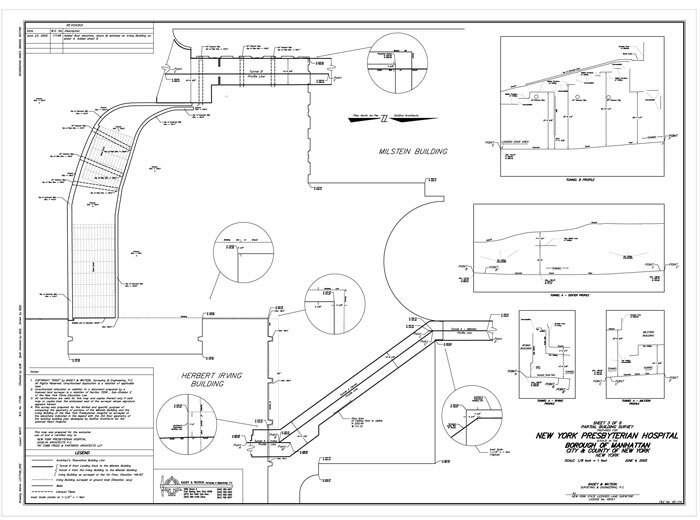 Window dimensions and elevations are shown on Map 4. This elevation map shows the dimensions of the windows and their elevations with respect to the floor elevations. 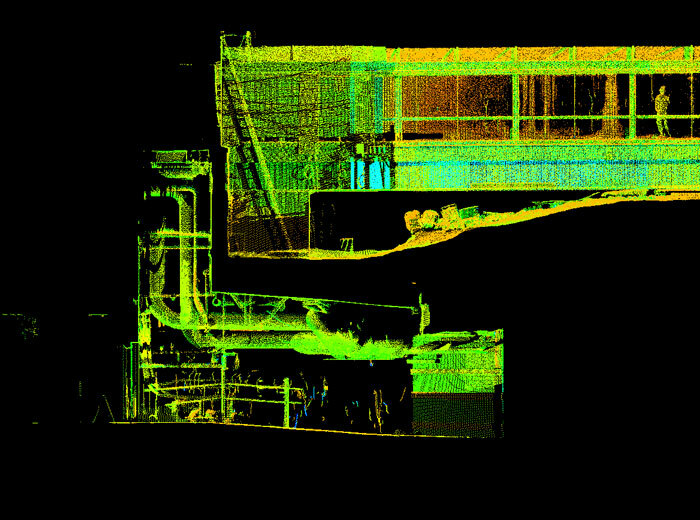 This scan shows the entrance of the underground tunnel and the exhaust pipes. 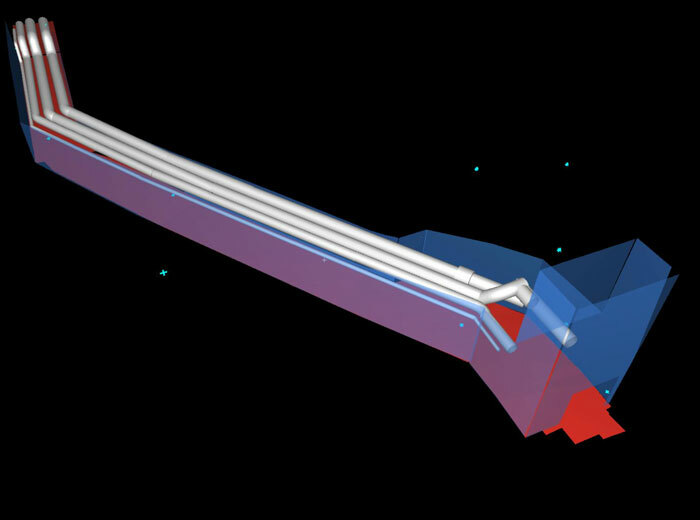 From this cross section we can get the distance from the tunnel floor to the ceiling and to the ground surface directly above the tunnel. 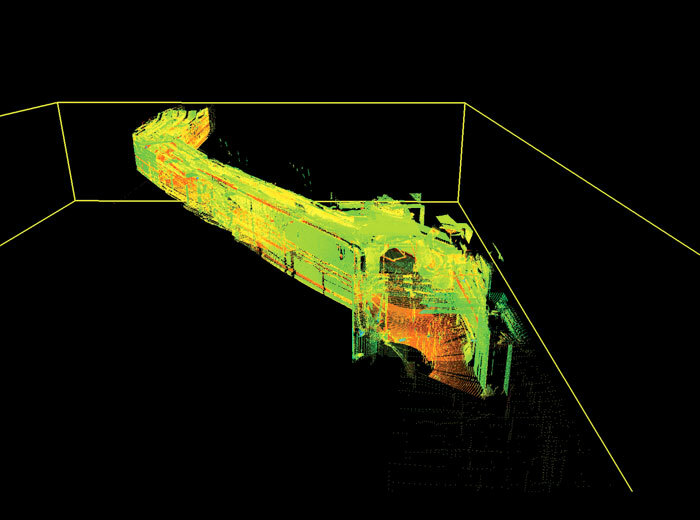 This scan shows a partial section of the underground tunnel. The distance from wall to wall and profile of the tunnel floor can easily be acquired. 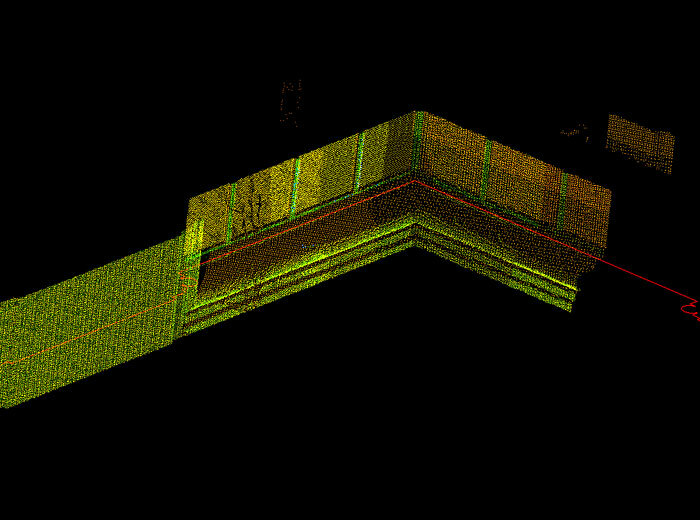 The partial section of the underground tunnel can be modeled as part of the survey to help visualize the structures.